Until 3 години with 6% anual interest rate. SPECIAL OFFER: PRICES IN BLOCK 4 and 5 - 750 EURO/SQ.M. INCLUDING VAT! The newly constructed and already functioning Belvedere Holiday Club is an exclusive high-class holiday development boasting world class facilities superior to many resorts in the Alps. We offer you truly de-luxe living and leisure in the best Ski & Golf resort in Eastern Europe. Now you can become the owner of an elite ski apartment at amazingly good prices and payment plans! Belvedere Holiday Club is a gated development of luxurious apartments, matched with a fully integrated range of superb leisure facilities, beautifully set in the heart of Bansko's premium development area, some 400 meters and just a few minutes walking from the Gondola lift. Belvedere Holiday Club was constructed by KP Immobilien, a subsidiary company of MOTO-PFOHE, which is owned by the German developer Karl-Heinz Pfohe who has been working successfully in Bulgaria for more than 18 years. KP Immobilien received the award of the Bulgarian Chamber of Commerce and Industry in the category Top 100 companies ranked according to the change in their net revenue 2008/2007. The Executive Director of the companies KP Immobilien and Ford Moto-Pfohe Mr. Atanas Fournadzhiev is among the most respected businessmen in Bulgaria as he takes part in a number of socially important projects and is an avowed supporter of Bulgarian football. The architectural design was made by Art New Vision – one of the most successful Bulgarian architectural companies in the last few years. The development has been designed in accordance with the requirements for a modern holiday site and in accordance with the guidelines provided by our subsidiary company for luxury real estate LUXIMOTI. 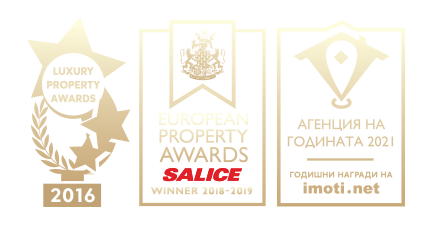 The building-installation works were performed by AT Engineering which is one of the leading companies in the sector and is currently in the Top 5 of the construction companies in Bulgaria. Belvedere Holiday Club is truly one of the best holiday developments in Bansko, offering a lot of space and greenery, beautiful architecture and amenities which you won’t find anywhere else in Bansko (for more details see below). Belvedere Holiday Club consists of three blocks with luxury apartments as the ground floors house the additional facilities and amenities. No compromise has been made with the quality of the materials and the standard of the finishing works. The owners will have a property that measures up to the highest standards set personally by Mr. Pfohe and guaranteed by the leasing construction company AT Engineering. • Own heating system with naphtha, which will switch to gas next year. The apartments at Belvedere Holiday Club, Block 1 are offered for sale completely finished and furnished. The apartments at Belvedere Holiday Club, Block 4 and Block 5 are offered for sale completely finished (unfurnished) and ready to furnish. Against additional payment we offer furnishing packages which include everything necessary for living in the apartment and for renting it out. • All buyers will be required to sign a Preliminary Contract and a Contract for Maintenance of the Building. We can provide a mortgage loan from two of the leading Bulgarian banks. The maximum term of the loan is 20 years and the annual interest rate in Euro is 8.5%. The self-participation in the loan is 30% of the property price. For more information, please contact our mortgage specialist Galya Zlatanova. Any apartment can be reserved immediately with a non-refundable deposit of 5 % of the purchase price payable in cash, with a credit card or bank transfer. The reservation deposit will hold the property reserved for maximum 28 days, until the Preliminary Contract for the complex is drawn up. After that the buyer and the developer sign the Preliminary Contract. Together with the Preliminary Contract a Contract for Maintenance of the Building and the Development will be signed between Property Management BG Ltd and the client. • equal installments of the purchase price every three months until the full price is paid or upon individual plan arranged with the investor. • The special offer in Block 4 starting from 625 Euro per sq.m. is excluding VAT. • The information is constantly updated and valid. • All payments are made in cash or to the bank account of the developing company KP Immobilien LTD (subsidiary of MOTO - PFOHE). • For Block 1 all State taxes and Notary fees, as well as the expenses for transferring the ownership of the apartments are included in the purchase price and are paid by the developer. • For Block 4 and Block 5 the buyers will pay all State taxes and Notary fees and the expenses for transferring the ownership of the apartments - approximately 4-6% of the purchase price. • Standard repairs occurring from normal use. All apartments in Belvedere Holiday Club are sold unfurnished or with an option for full furnishing. Our partners at FURNISH.BG who furnished the apartments in Block 1, the restaurant and the Wiener Conditorei confectionery in the complex will offer you high-quality furnishing. The furnishing packages have everything necessary both for permanent living and for renting out. To all clients who have special requirements regarding the furnishing of their properties Furnish.BG can offer interior design services, different color and furniture solutions to suit every taste and budget. The management company offers rental services to all owners who want to generate an income from renting their property out to tourists. A separate plan is drawn up for each client that wants to use the service. For more information please contact us. Rental services are not compulsory as they are designed for owners who wish to have a permanent income depending on the level of occupancy of their apartment. Belvedere Holiday Club works all year round and welcomes skiers, golfers, tourists, investors, participants in business meetings and seminars, and long-term tenants. Belvedere Holiday Club is advertised both in Bulgaria and abroad in the brochures and the sites of a number of tour operators. Owners of properties in Belvedere Holiday Club use special discounts and services in all amenities and commercial areas of the complex.